David Baker took the Club’s Open Championship on Saturday September 2 despite a late surge by Colin Hammond, his opponent and last year’s title-holder, which kept him on 19 shots for several ends. 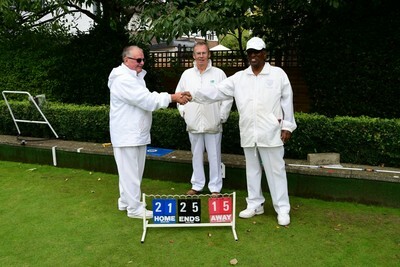 David eventually ran out the winner by 21 shots to 19, with the final shot decided by a measure. It was his third success in the competition. 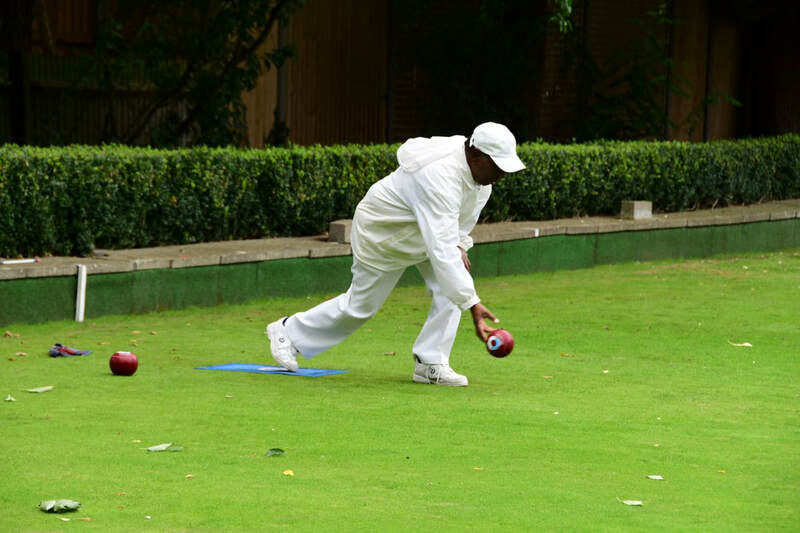 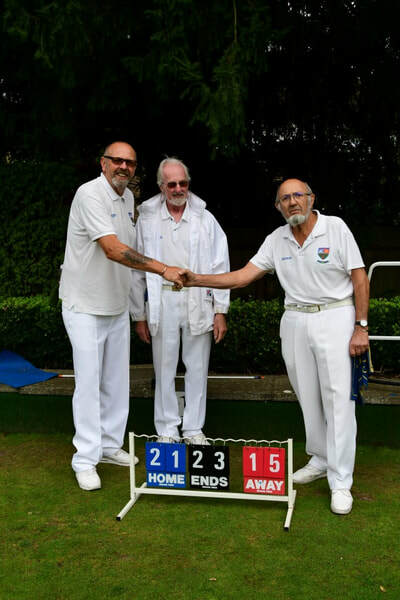 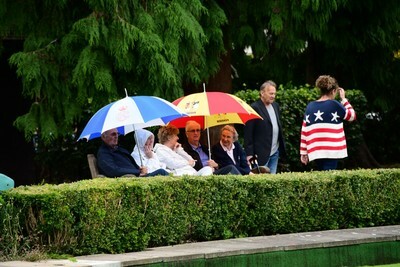 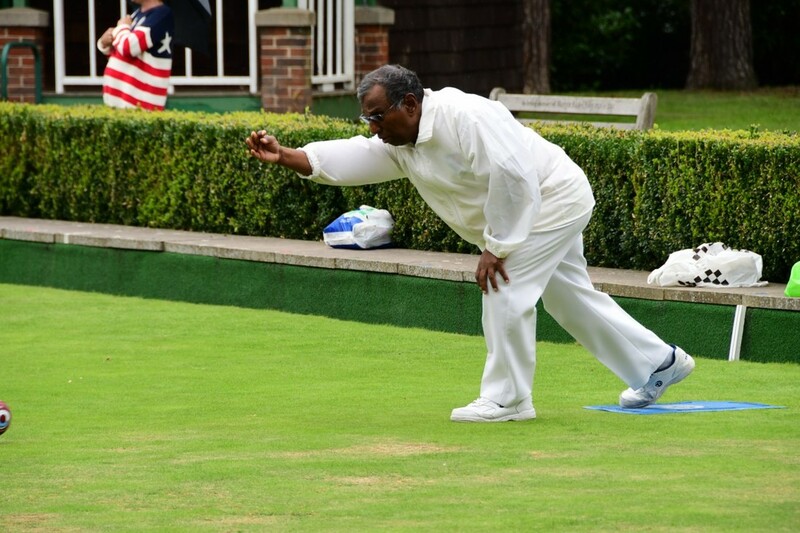 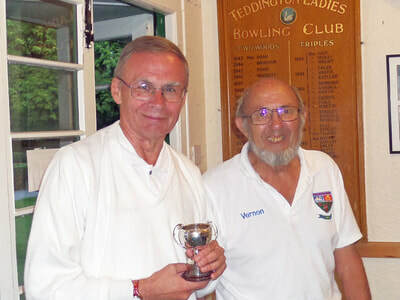 The match, played in bright early evening weather, was the highlight of this year’s finals’ weekend, with both players eventually mastering a tricky rink. 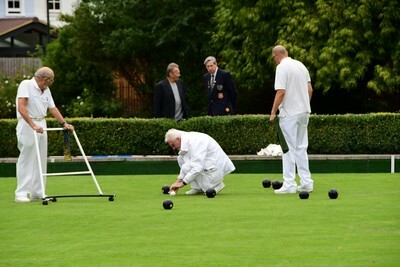 Vernon Elmes was the only member to reach two finals this year, the first that the Ladies’ Competitions were not contested due to a shortage of lady members. 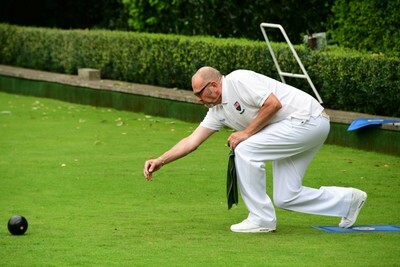 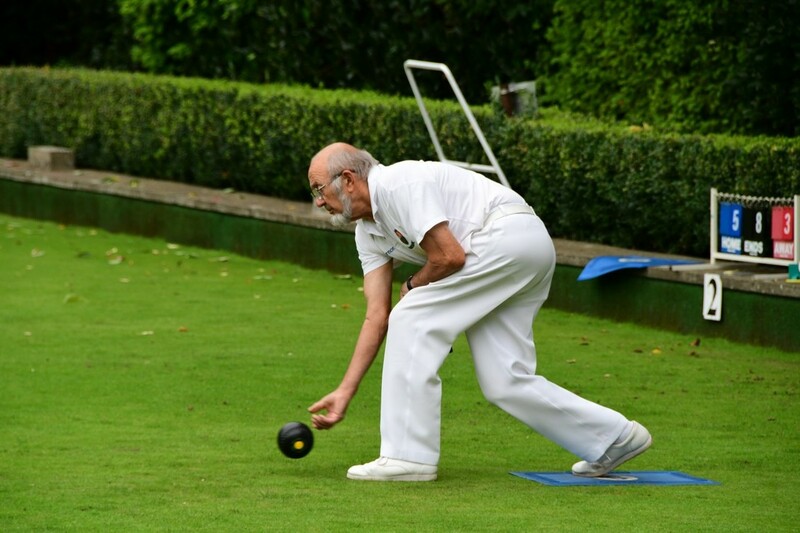 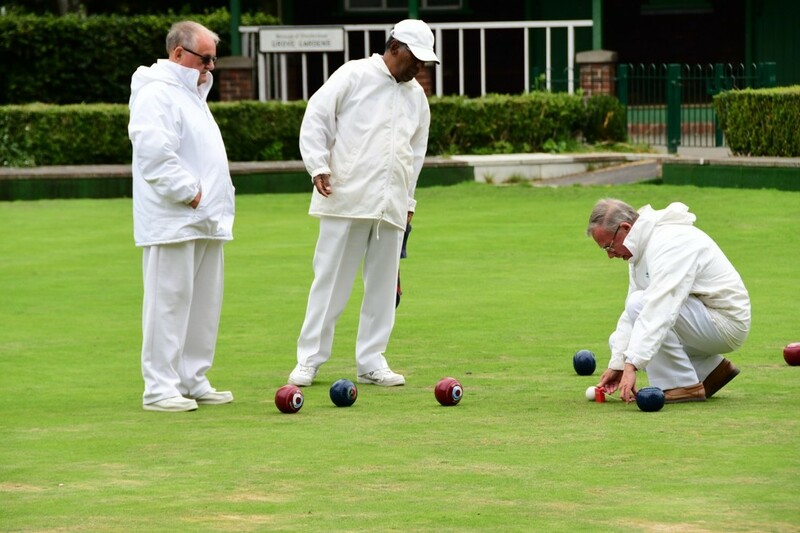 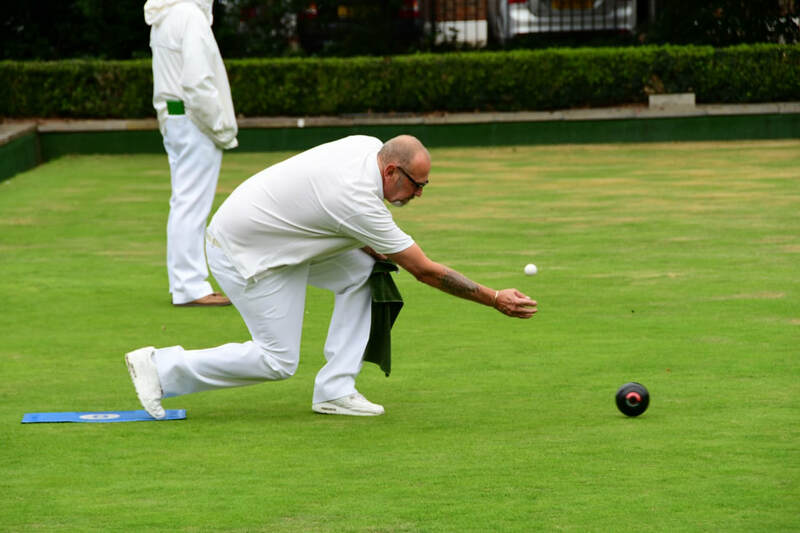 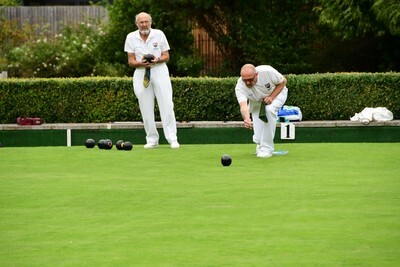 But Vernon lost in the Knapman Cup on Saturday to Gerrard Raven, last year’s winner of the competition. 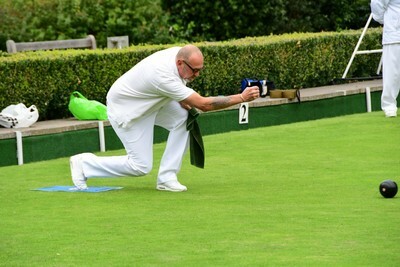 Then in the Handicap on Sunday, when the weather was a little less kind to us, he was bested by Hugh Hartley. 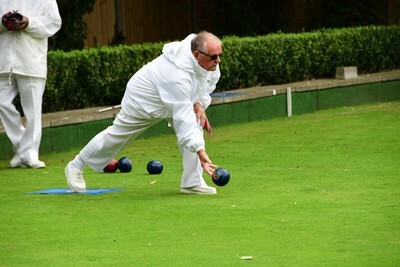 Hugh is now a five-times winner of the Handicap, but his last previous success came in 2007. 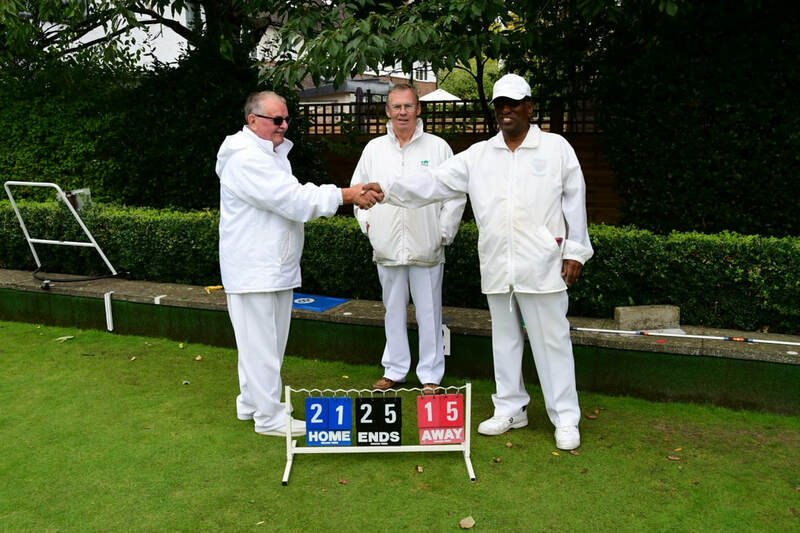 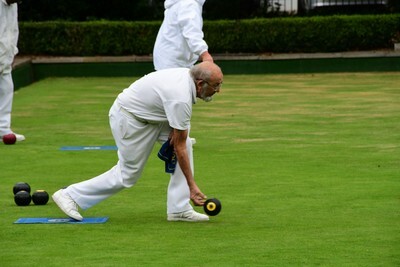 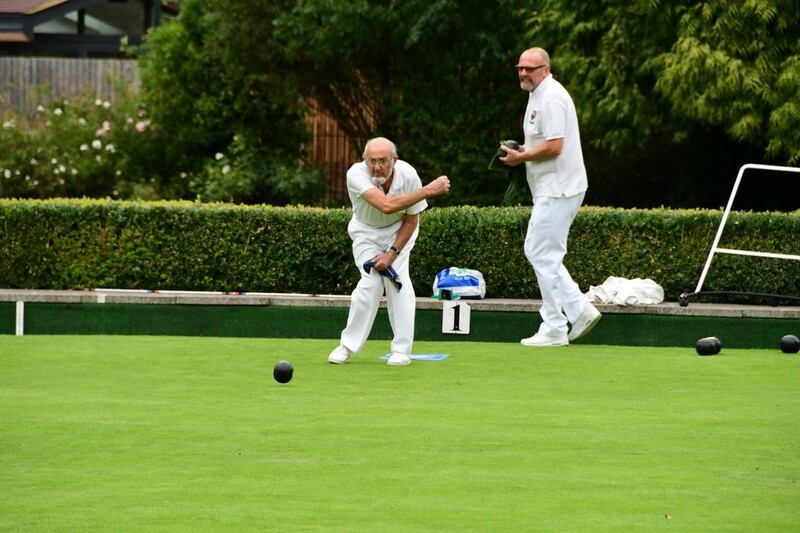 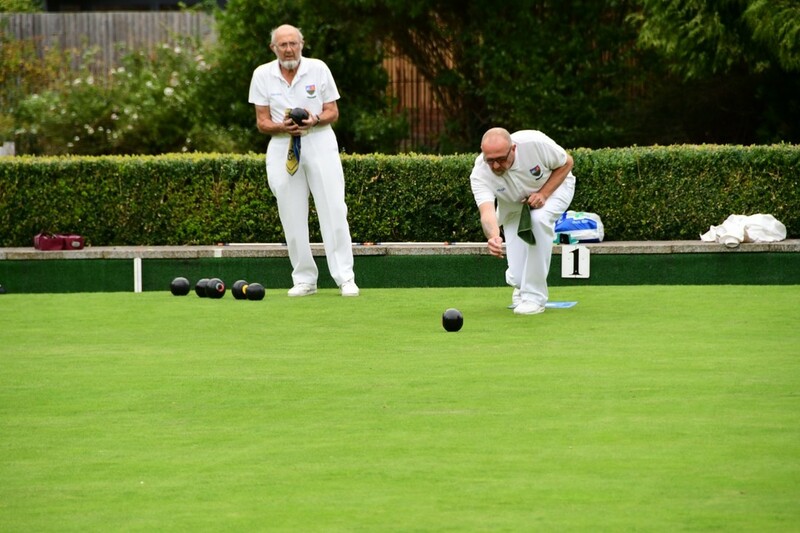 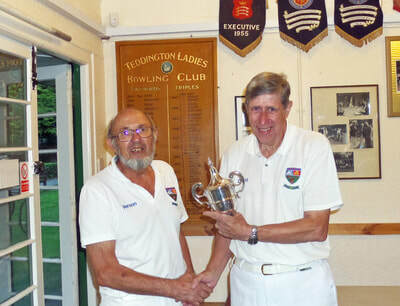 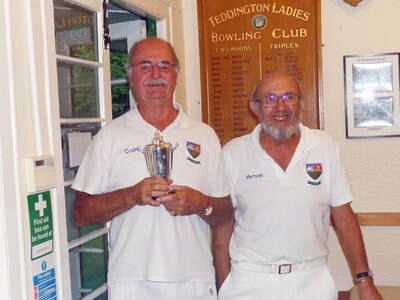 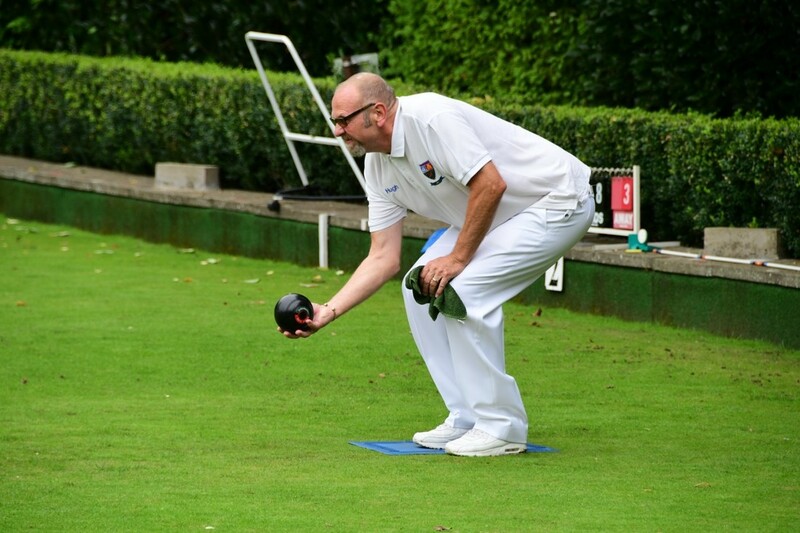 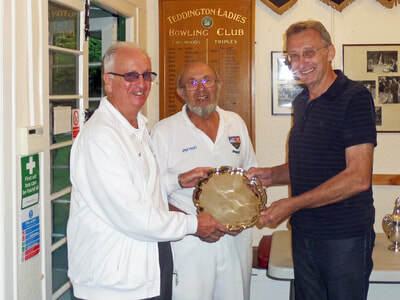 The Open Pairs was won by Roger Joslin and Stuart Brown, who beat Bob Cuell and Roger Banfield by two sets to one.